Sage Premier business partner in Malaysia adds to its impressive win-streak by receiving the Manufacturing ERP expert award for their superior implementation and support for the manufacturing suite of software. 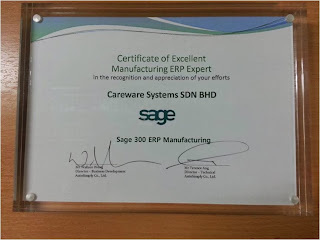 Ho Chi Minh City, Vietnam – October 26, 2013 – CareWare Systems Sdn Bhd, a Sage business software partner based in Malaysia, is proud to announce it has received the Top Manufacturing ERP Expert, Excellence Award for the Sage 300 range of manufacturing modules. 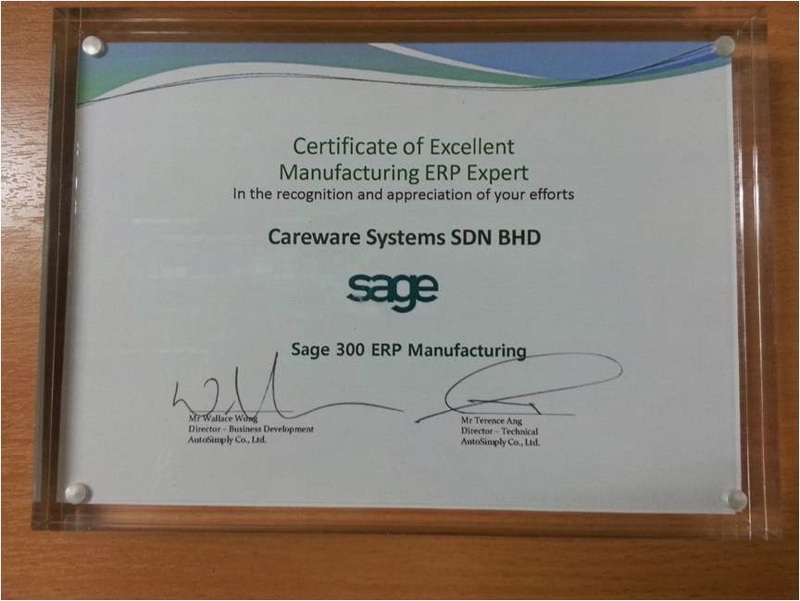 “We are thrilled to be honored with the Sage Manufacturing Expert award,” says Robert Tan, Managing Director of CareWare Systems. “Attaining the number one position in excellence on the sales and implementation of Sage 300 ERP – Manufacturing Suites is no easy feat. Careware Systems Answering the needs of Manufacturers in Malaysia. Manufacturers today must use technology to manage their supply chain to meet the increasing demands for customized products, to become more competitive, pursue global business and run business more efficiently. They need to become more flexible and quick to respond in order to succeed in this fast-paced market. But how do you respond to the market and still keep track of your bottom line? How do you improve operational efficiency and increase customer loyalty when it requires constant changes in your production processes? How do you achieve continuous flexibility? In short, how do you manage your supply chain more efficiently? Mr. Tan, said that in the Asia-Pacific region there are many different types of manufacturers, so selecting the right-sized ERP solution to support both current and future needs must be a strategic decision for the company. There is no "one-size fits all" solution. 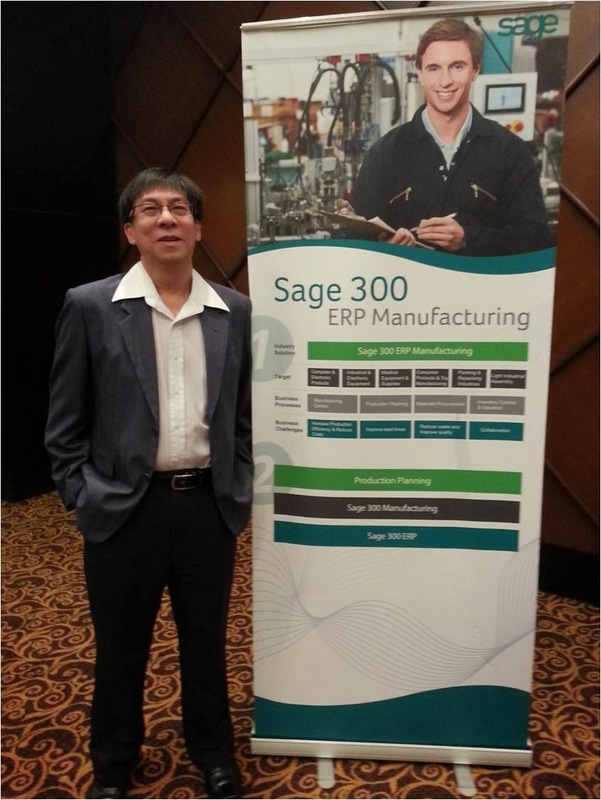 Sage 300 ERP - Manufacturing Suite is designed with a focus on small to mid-sized manufacturers. Some other ERP solutions are too cumbersome and complicated for the SME market. It may take years to implement and the cost is way beyond the affordability of most small, medium business. Sage 300 ERP Manufacturing Suite is just the ideal solutions for the small to mid-sized manufacturer which easy to used and fast to deployed. For example, small to mid-size companies probably need an ERP solution that includes flexible financial accounting and distribution and in some cases may want to consider production planning. Some manufacturers may find that the added flexibility of Sage 300 ERP enables them to add vertical modules for functions such as preventative plan maintenance or to support unique process manufacturing needs. With this award Careware will be spurred on to achieve excellence not only for herself but for its customer as well. Through its partnership with Sage, CareWare Systems helps small and mid-size companies in Malaysia reach productivity levels at the top of their respective industries. CareWare represents a variety of business management software including Sage 300 ERP, SageCRM, and Sage 300 Manufacturing Software. For companies interested in growth, profitability and superior software support, CareWare is the Sage business partner for you. For more information, please visit our website: http://www.careware.com.my/.